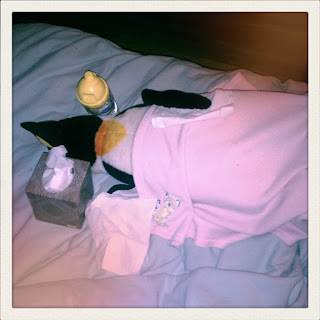 sick penguin, circa 2011. styled and photographed by Zoe Neumyer. I've had quite a time over the last two years. I've divested, downsized, delved deep into myself to ask the hard questions. Who am I, really? Where was the self with which I was most comfortable? Who and what should surround me to get me to that best self? My conclusions put me on an unpaved path. I'm still hacking my way through the wilderness. But, I'm at peace with myself and my decisions. I'm happy. I no longer indulge in wishful thinking over the life I should be living, because I'm living it now. Writing, which has been blocked for me for too long, is coming back. Even creating checklists of work tasks and home duties provides a great deal of satisfaction. Nesting in my new home that I share with my rapidly growing up children is another pleasure. I made dinner for myself for the first time in ages last night. Pappardelle egg pasta and organic marinara sauce from Trader Joe's laced with my own concoction of ground turkey, garlic, caramelized onions, fresh basil, and a liberal sprinkle of parmigiano-reggiano on top...divine. I'm loving the simple, smaller details. And, I'm glad to be back.